Enjoy buffer free HD video calling in Imo with the #1 4.5G network of the country- endorsed by Imo! 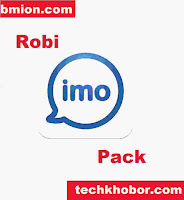 The most popular video calling app is best experienced in Robi. Video call your friends and family no matter what device they are on with Robi from any part of the country. To subscribe users can dial the USSD code.